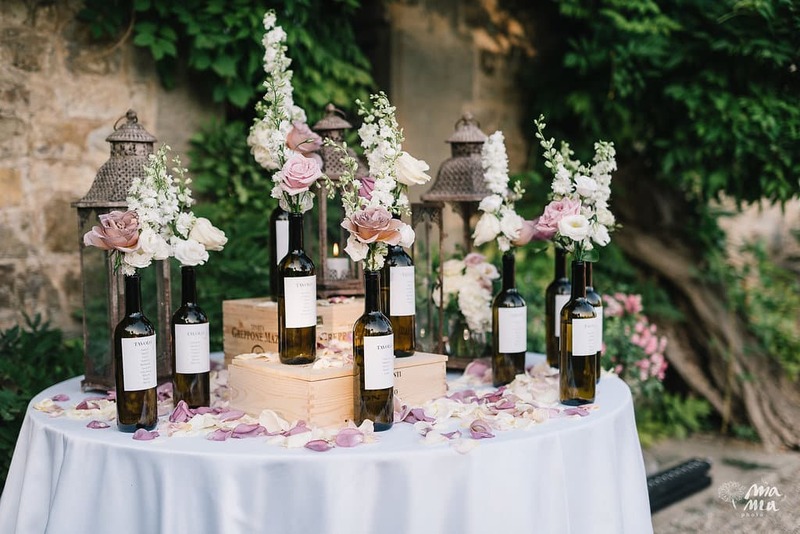 If we think about Italy, the first images that come to mind are the countryside, the wine, the gentle hills covered by vineyards ... And for those who are strongly fascinated from Italy, why not evaluate a vineyard as place to celebrate the wedding? 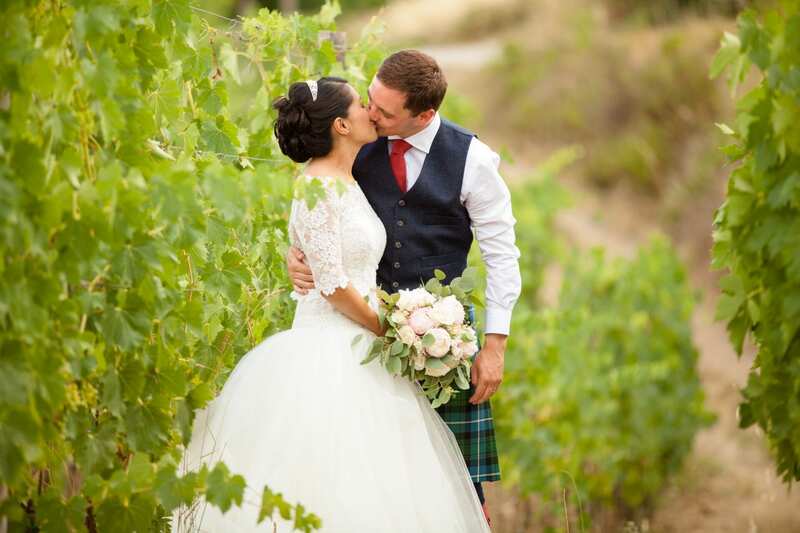 For lovers of nature, oenology and the outdoors, getting married in a vineyard could indeed be an alternative idea to match this passion with the most important day. The countryside gives us wonderful landscapes, spaces and colors, and let us enjoy its nature, for this reason the ideal time to celebrate a wedding in the countryside among the vineyards is surely the warm season, between April and September. In fact, in April the vines covering the hills of Italy begin to sprout, offering fascinating sceneries throughout summer and then end their cycle with the grape harvest in September/October. And it is September the most evocative moment to organize your wedding among the vines: vines and bunches of grapes could be the theme of your wedding, and they will be the natural frame of an original and country chic reception. Besides the grape, there could be other possible themes that could inspire you, such as wine, oil, olive trees or wheat. You can imagine floral decorations adorned with berries, olives and dried fruit. To develop the setting you can use wooden gazebos enriched with natural elements such as olive branches, vines, or hay bales. Barrels, flasks, Bordeaux bottles and wooden wine cases can be used as decorations or as base for the centerpieces or tableau. You can also indulge with the use of corks and glass jars. Finally, jars of honey, jams and bottles of oil can become wedding favors for guests. Every detail should reflect the style of your country wedding. If Italy is largely covered by hills, countryside and vineyards, Tuscany is par excellence the homeland of wine and oil, and offers suitable solutions for all needs. Most of the venues in the Tuscan hills areas and in the Via del Vino DOCG are characterized by vineyards that can be the background of your reception. 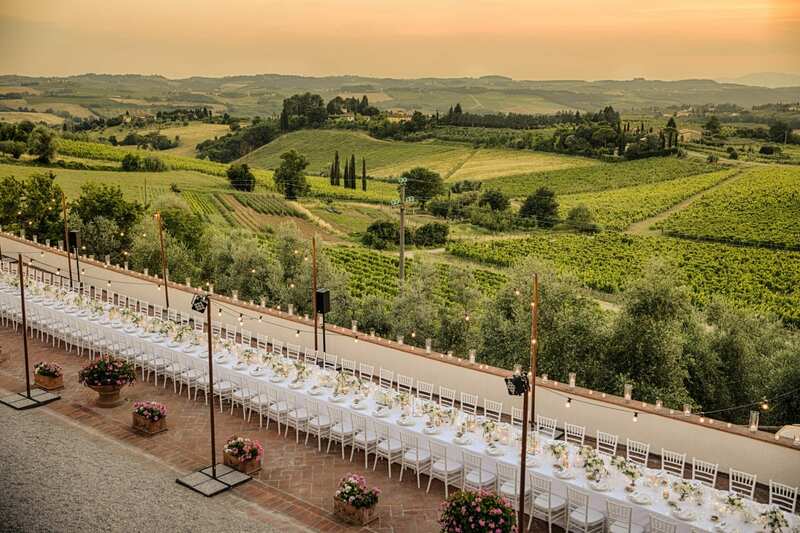 In the Chianti area, along the coast, in the Siena countryside, in the Maremma... everywhere farmhouses and villas offer suitable spaces for a reception immersed in the nature and in its fruits and there is a very wide wealth of choices. For over ten years Bianco Bouquet has been working with the best venues to offer you excellent services surrounded by the countryside. Contact us, it's time to plan your vineyard wedding!